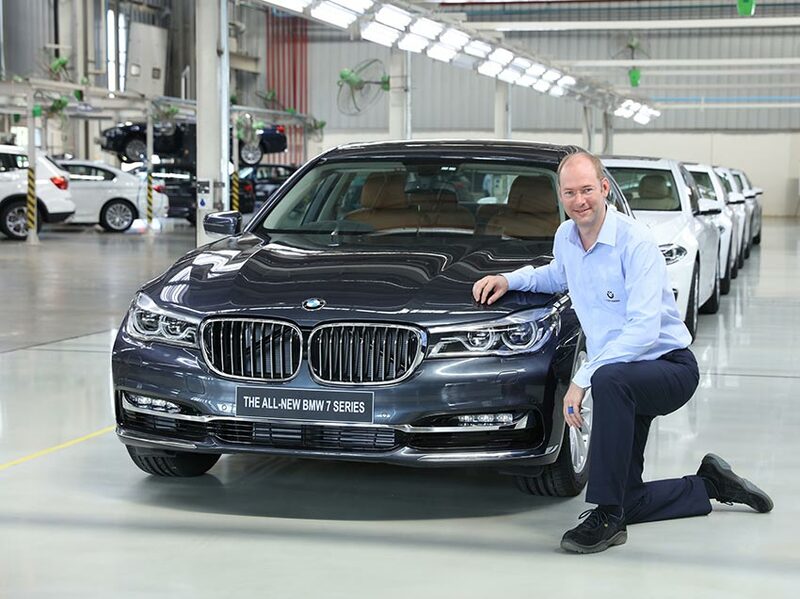 BMW Plant Chennai has rolled out the 50,000th car locally produced in India. It is with great pride that we are rolling-out the 50,000th car locally produced at BMW Plant Chennai. Each and every BMW that is locally produced is of the same international standards as anywhere else in the world and brings a smile on the faces of our customers. Highly skilled employees, advanced manufacturing processes along with state-of-the-art machinery and technology provide all the necessary ingredients to achieve these tough standards. We are proud of this achievement and look forward to many such milestones in the future. BMW Plant Chennai started operations on 29 March 2007. Since then, the BMW Group has continuously increased the number of its locally produced car models. Upto eight car models are locally produced on two assembly lines at BMW Plant Chennai. Presently, the BMW 1 Series, the BMW 3 Series, the BMW 3 Series Gran Turismo, the BMW 5 Series, the BMW 7 Series, the BMW X1, the BMW X3 and the BMW X5 are locally produced at BMW Plant Chennai. Headquartered in Gurgaon (National Capital Region), BMW India is a 100% subsidiary of the BMW Group. Till date, BMW Group has invested over 4.9 billion Indian Rupees (€ 69 million) in BMW India. The wide range of BMW activities in India include a manufacturing plant in Chennai, a parts warehouse in Mumbai, a training centre in Gurgaon NCR and development of a dealer organisation across major metropolitan centres of the country. Currently, BMW India has 38 sales outlets in the Indian market. The total number of employees at BMW India is 650. More than 1,200 additional jobs have been created in the dealer and service network.